No longer own the 5100. Replaced the printer last November. I was just about the throw out the printer... But solution #3 worked perfectly for me. Sure enough the timing strip had grease all over it. It even fixed the print head alignment! Thanks for the Post and the Pic!! I still have to try solution #2 because I don't have a grease yet. No idea what grease to use. thank you so much, solution #3 works,its great! Thank you so much for this info. My printer works well after I tried solution #3. God bless! I wanted to cry. I tried everything the operating manual said to do - at least 3-4 times and I kept getting the 5100 error message. Thank you so much for your tips, because solution 3 worked like a charm. I have a Cannon MX432. Thanx a million! I am back in business. Great! Solution #1 worked for me. Found jammed paper in a weird spot. Removed it. And all's well. #3 Worked for me. Big thanks! Thanks a million. Nr. 3 worked, it also solved the problem with the alignment. and it now works like a charm. That transparent strip was the key for me. I cleaned it with a tissue and now the printer works. Thank you. *would print 3 or 4 pages and then pop the 5100 code. Page immediately preceding the error had stutters/burred lines of text on it. #3 Worked - I cleaned it with a Q-tip with alcohol. OMG Cannot believe #3 just worked!!!! I just pulled this printer out of the Goodwill pile after the old Lexmark we had ran out of ink and I was desperate! This thing hasn't worked in over a year - I'm still in shock waiting for it to start clunking again - thank you so much!! Solution #3 fixed my problem. The grunge was on the back side of the clear strip. Thanks to all. 3. 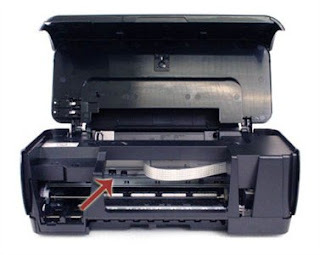 Make sure that the ink tanks or ink cartridges are installed correctly. Solution #3 fixed the 5100 error code om my Pixma ip3600. Now I am able to get through through the entire Print Head Alignment maintenenace procedure again, and printouts are perfect again. Saved me the trouble and cost of replacing the printer. Thanks to this site, and others as well, that have posted this fix. I thought I had tried everything on an mp800r error 5100, and then I found that a piece of white plastic to the right of the rubber squeegees had a horizontal spring that did not seem to be engaged. I managed to lift up the plastic and re engage the spring, this caused the plastic to be pushed upwards slightly, and be nicely held up by the spring.....and the fault has gone away! Previous to this fault printhead had been stuck on te right had side and I had to force it out of this position, perhaps this had caused the spring to become dislodged. I have a MX357 I thought I tried everything, even #3 cleaning the clear strip. But I decided to give it one more go and cleaned it front AND back this time, like 10 times, all the way to the right where it's almost unreachabe. AND i's finally working!!!! I started having this 5100 code problem at 10am, now it's finally printing at 1:30pm!! Thank GOD! Page 1 worked so far, hopefully it will continue to do so! I am so glad we have the internet so we can search and solve problems! Thanks for all the comments posted here! 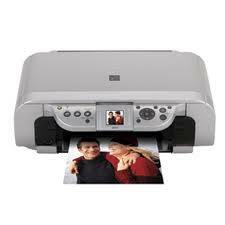 Gooday,i have my MX394 CANON PRINTER,i was busy trying to find solutions for that same error 5100 but it was all invail until i decide to go on internet for help.Thank you very much guys i have used solution #3 and it worked for thank you thank you million times.GOD BLESS YOU. I was and ready to say goodbye to my lovely Canon MG5150, as it continued to present me with shaky and stained prints. Until I tried solution # 3. Never believed this would work, wiping this 'timing strip' with a piece of tissue. But it worked!!! Thank you,solution #4 the tension spring on the top left for the cartridge carriage drive belt somehow pops off and the carriage will make a bad grinding noise on printer power up resulting in Error 5100. Solution 3 worked. Thank you!!! You RAWK! Solution #3 fixed me right up. There was a bunch of gomboo on the timing strip. Praise God. My printer works fine now. Thank you for this. Thank-you so much. Solution No. 3 worked brilliantly - had almost given up. Tumble dryer broke last week, the hob packed up 2 weeks before, then the printer 2 days ago. Nearly chucked it out - Merry Christmas!!!!!!!!!!! !